As they look to make their entrance into Canada, ALCATEL ONETOUCH has become the Official Smartphone Partner of Toronto FC. The multi-year partnership is the first of its kind for ALCATEL ONETOUCH and represents the company’s most significant brand investment to date in Canada, with an extended reach to a wider North American audience. As part of the partnership, there will be a focus on pre-game fan experiences, in-game fan engagement, social media and digital campaigns, in-game brand advertising, as well as in-market promotions. 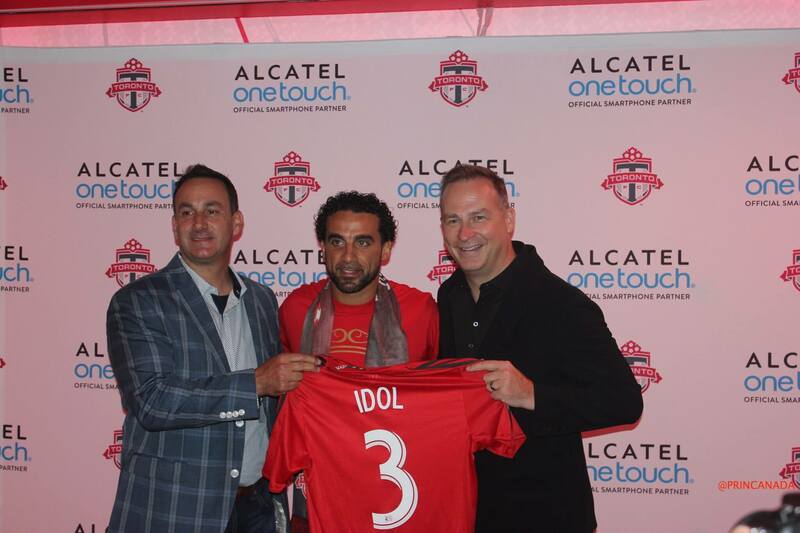 In addition, ALCATEL ONETOUCH was the Presenting Sponsor of the Dwayne De Rosario Testimonial Match held at BMO Field on June 20, 2015, which celebrated the career of Toronto FC’s top scorer. ALCATEL ONETOUCH also presented Dwayne De Rosario with a $10,000 (CAD) donation for the DeRo Foundation.